It is five years since we made our first tentative public disclosures of this blog. We had been discussing republishing the old HTML version of the FAQ’s for several months and then started loading up information in WordPress on a trial basis. After about four weeks, we were satisfied with both the formats chosen and styles developed, and when several discussions on the Maine On2 Yahoo! group made reference to the old FAQ’s, we decided to go public with the new version to support those threads. We started back then with just 41 topics/posts, mostly picture based, showing some of the commercially produced brass models and a selection of historic On2 layouts. Encouraged by the response from the group, the number of topics grew to over 110 by our first anniversary in 2014, and today, on our fifth anniversary the blog consists of 195 topics/posts and 6 pages. In our fifth year, we have passed a major milestone, that of receiving our 100 000th viewing. This past year has seen reduced activity publicly by the editorial team for a number of reasons, and the activity which took place was focussed on acknowledging that the blog is now mature and bringing the editorial postings up to date and revising older topics, rather than publishing new Maine On2 modelling topics. The activity included adding new pages to cover topics which we previously frequently received private messages about. A number of existing topics have been updated, with errors corrected and pictures and links added to related topics. The editors would like to wish all the contributors a Happy New Year and thank them for their material used in the past year during which the blog received its 100,000th viewing. #2- MaineOn2 layouts – Peter Barney’s SR&RL. 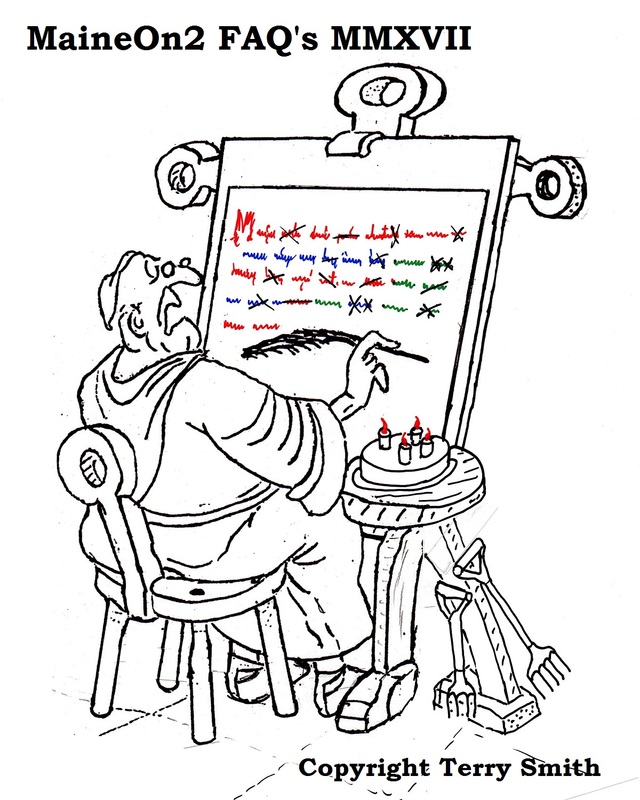 #3- Moe Example – a password protected example showing Moe Mechling’s inimitable styles for drawings and letters. #4- MaineOn2 layouts – Bill Kerr’s SR&RL. #5– Maine On2 layouts – Bob Harper’s Megantic module. The Moe page was posted to the blog in support of a then current discussion on the Maine On2 Yahoo! group board at the end of June 2017. For copyright and other reasons, it was posted under password protection, with the password being posted to members of that group on June 29 2017. Yet again, this is a rather different listing compared to those of previous calendar years, with three of the top placings being taken by new topics posted this year, and four of the top placings being taken by layouts, although regrettably only two still exist. Activity this year has generally been down on last years record numbers, in terms of lower numbers of new topics posted, slightly lower viewing numbers and lower numbers of specific topic viewings which are used to produce these end of year rankings. The number of visitors was up by nearly 5% on last years total. The nationality of viewers was pretty stable, with some 72% of the 2017 total viewings coming from the USA, the United Kingdom came in second with 7% and Canada placed third with 4%. Next came Australia (3.3%), France(2.8%), Germany (2.1%) and Japan (2.0%). The blog has recorded visits from 56 different countries around the globe this year. We hope that our viewers have found the site of interest over the last year. We have more topics and content in-process and may well find errors to correct and additional information to add to existing postings, so keep coming back in the coming year. At fairly regular intervals, the Maine On2 FAQ’s receives questions about buying and selling Maine On2 items, many of which appear to be a request to list items wanted or for sale here. Commercial transactions as listing items wanted or for sale are beyond the scope of this FAQ, and for a number of reasons, the editors have no desire to become involved in facilitating 3rd party commercial transactions. There are many potential venues both online and offline for buying or selling Maine On2 models. This FAQ is not one of them. For those looking to buy or sell Maine On2 models, and if you are not already a member, then the easiest way to make contact with a large number of potentially interested parties is to join one (or more) of the special interest news/discussion groups and to post there. The resulting discussions could lead to up-to-date suggestions for suitable online auction sites, hobby shops, or even a private sale. Note that some sites, for example Yahoo! Groups, specifically discourage trading via their services, hence you will often be asked to complete any transaction off-board by cognisant vendors. Some such groups are listed in the sidebar of this FAQ’s home page. This listing is not exhaustive nor is it an endorsement: it is merely provided for information. Casual viewer with research questions? Are you a casual viewer with research questions? – then why not join a group? We frequently get interesting questions about Maine two-footers and modelling them via the “comments” facility. Often, the answers are already in the FAQ, and a search of the site will find them. You can find a search box on the home page at the top of the sidebar. You may also find what you’re looking for by scanning the extensive “Categories” list in the sidebar. Sometimes, we (the editors) do not have the answers. Providing them personally could require us to undertake a substantial research project. 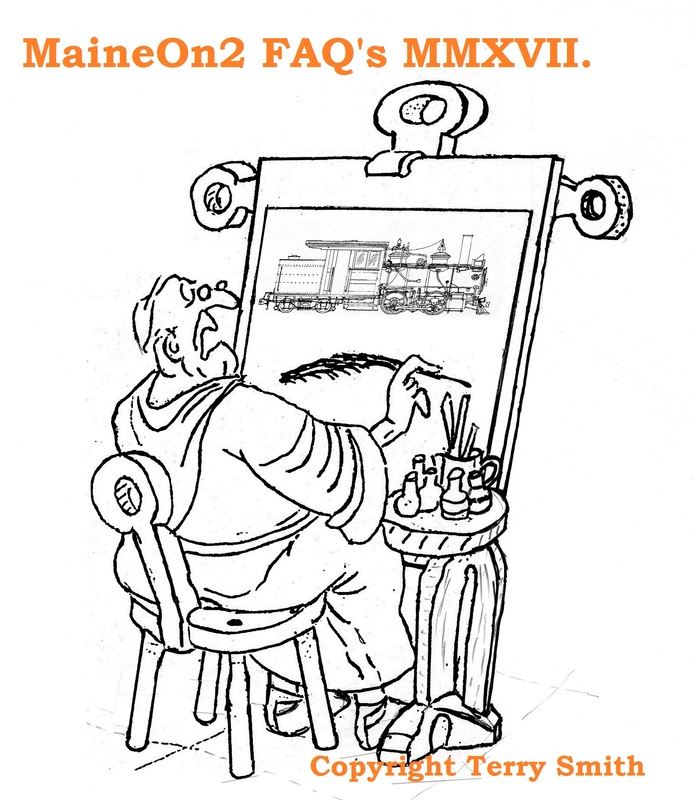 The MaineOn2 FAQ is essentially a repository for peer reviewed knowledge provided by fellow enthusiasts to be shared within the group and the FAQ for the benefit of all, on a self-service basis – the FAQ is not a research bureau. Therefore, if you can’t find the answer here and if you are not already a member, then we encourage you to join one or more special interest news/discussion groups and ask your questions there. Hopefully this will result in information and discussion from members knowledgeable about the particular topic, and may even result in information that can be added to the MaineOn2 FAQ. In this way, the person posing the question is likely to get a better quality answer, than if the editors replied to the limit of their own knowledge. This blog has just received its 100 000th visit/viewing, which we believe is a significant milestone for such a narrowly focussed blog, and we Thank You for your support and continuing visits. 1/. Maine On2 layouts – Bill Kerr’s SR&RL; click here to view. 2/. Maine On2 layouts – Trevor Marshall’s Somerset & Piscataquis Counties RR; click here to view. 3/. Maine On2 layouts – Bob Harper’s Megantic module. Click here to view. 4/. SR&RL; Historic list of plans; click here to view. on behalf of fellow editors Trevor and Matt. We are four, ……… with 4000 revisions! It is four years since we went public with this blog. On that day, we started with just 36 topics/posts, mostly picture based, showing historic On2 layouts and some of the brass models that had been produced commercially. The number of topics grew rapidly to over 110 by our first anniversary in 2014, and today, on our fourth anniversary the more rounded blog consists of 185 topics/posts and 4 pages. 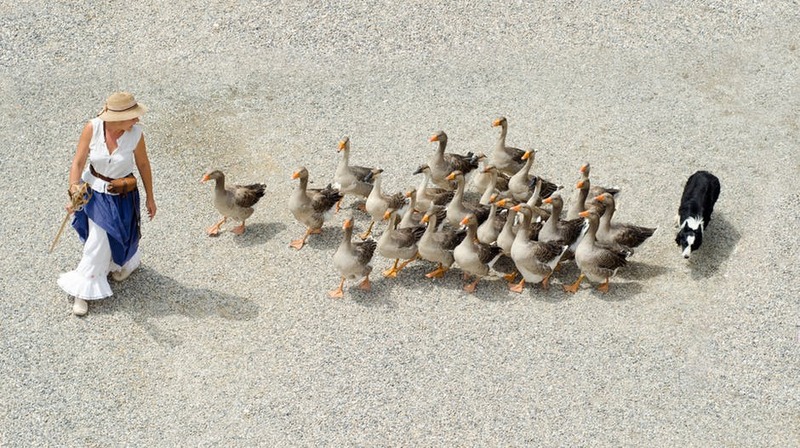 What does not show publicly, are the numerous, often small additions and changes that occur as a result of additional information or understandings after a topic has been published. According to information contained within a management file, the Maine On2 FAQ’s blog is now close to having had some 4000 revisions since it was started. While we try to identify and publicise major revisions of existing popular topics, these constant small revisions are one of the reasons why we encourage viewers to call back at intervals, as new information or pictures may be presented and errors or omissions corrected. ps;- for those viewers who have not been exposed to the UK’s favourite TV Comedy sketch, and wonder why the heading sketch shows garden forks under the birthday cake, we would suggest clicking here.